Living in the UK the weather is rather unpredictable and more often than not there will be cloud and rain and you probably won't want to venture outside! We received a lovely box of goodies from Yellow Moon recently, which came in very handy when the weather was against us earlier this week, and it definitely turned our frowns upside down. Glisten Up and Novelty tattoos are really easy to apply and remove when needed. The glitter ones were ideal for Minxy as she loves everything that sparkles and I even added one to my wrist too! She was able to select which colours she wanted and add the glitter herself making them quite a personalised product and a great value item for kids. The novelty pack was unisex in the way it contained a selection of images that both boys and girls will appreciate and while Minxy opted for the cupcake Jamster was keen to try the pirate and dog! 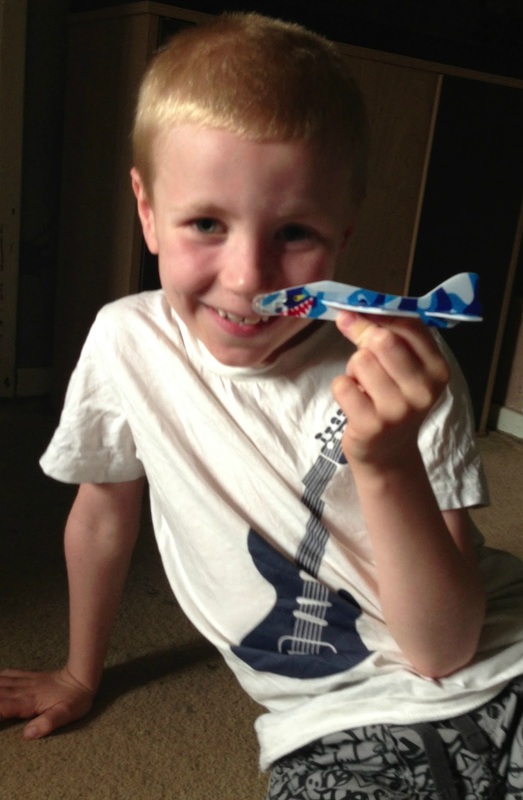 These were really great fun and a new activity we hadn't tried before. I did fear they would pop but they were rather robust and could handle some squeezing and twisting without any problems. I was pleased by how easy the instructions were to follow and I managed to make make Ascot, Cap and Crown hats on my first attempt with the set. This was a favourite of mine as the colours were amazing! Having a nail art pen and gems combined with bright polish is a great idea as it takes minimal space up within your bag and keeps everything organised. It was simple to apply and Minxy liked drawing on her (and my) nails to add some pretty patterns. Great for a mum and daughter night in! Even at 7 and 9 the Mini Mes love stickers and theses are ideal for keeping little ones entertained. The books have three themes; Sealife, Jungle and Dinosaurs and as they contain a variety of dot-to-dots, crosswords and other puzzles they will keep children busy when it's too miserable outdoors. In a pack of 12 there are plenty to go around and they are quick to make up and play. Seeing how far and high they would fly is great fun for old and young alike. There is little risk of damage to your home as they are light weight and they are very well priced - an ideal party bag product! This is something the Mini Mes always enjoy as it can transform them into favourite characters and super heroes in a matter of minutes. The kit contained 6 face paint sticks, 2 sponge applicators and 6 stencils for face painting - it was really easy to do especially as there are small holes in each stencil to attach elastic or string to keep them in place. This is a great way to style your own picnic, shopping or loot bag (or anything else you wish to use them for) and Minxy decided to use ours for both her lunch and as party bags. They worked well with pencils and felt tips and she spent some time decorating them to perfection. I'll be keeping these in mind with Halloween approaching! 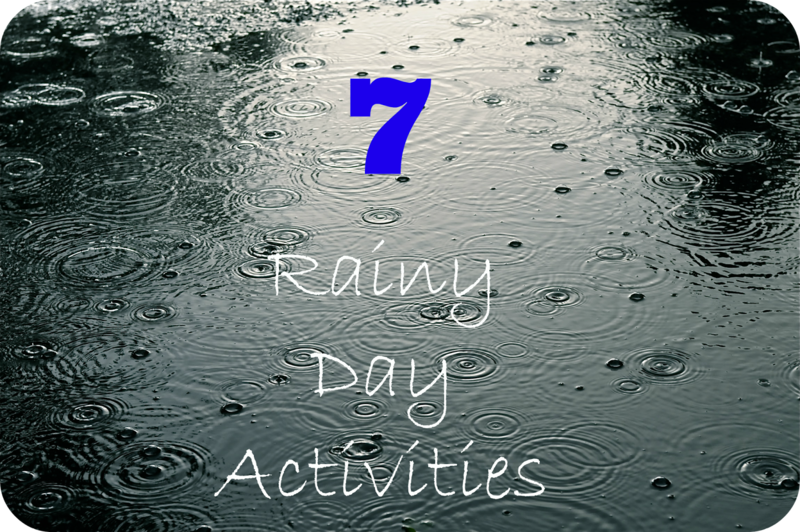 What activity would you recommend for wet weather days? 7 great ideas there! Thank you - the rain came yesterday afternoon and is still here so I need these ideas!